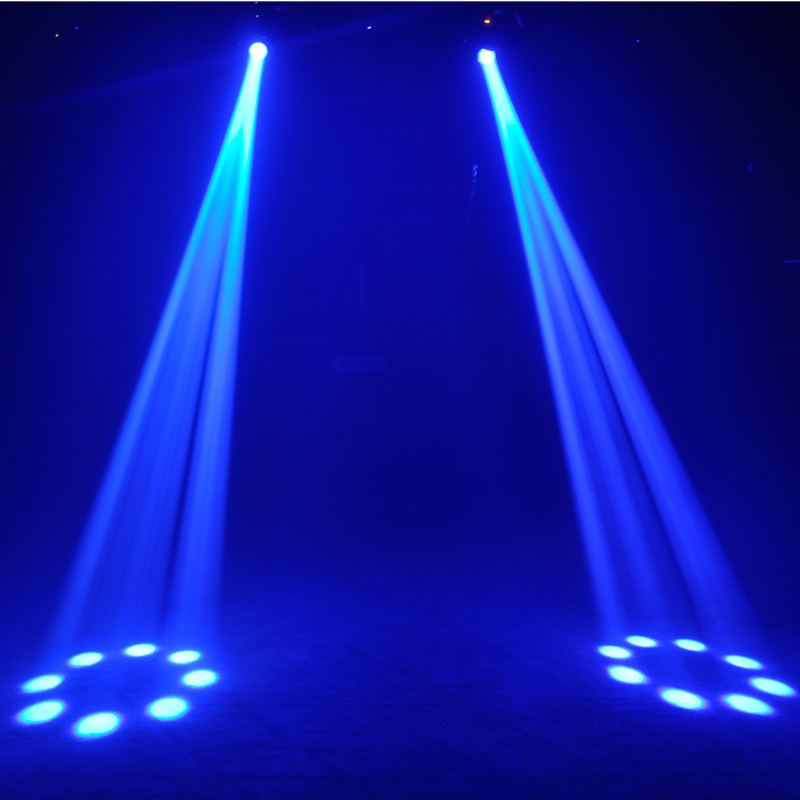 ~ These lights use a moving head to produce a controllable moving light beam with changing colour, gobo's & effects. A very small & compact moveing head that fits in the palm of your hand! Powered by a CREE - 20W RGBW LED giving a colour mixing system. 6 or 14 channels of DMX, sound to light & master - slave control. 9 Gobo's + open, gobo shake & strobe plus 16 bit pan/tilt resolution. The 350S contains a 60W LED source, which gives a light output similar to that of a 250W discharge lamp, but with major benefits with regard to energy saving, lamp life and weight and is fitted with a high quality optical system & smooth stepper motors with a beam angle of 6 °. 8/11 channels of DMX, sound to light & master - slave control. 4 Rotating Pattern gobos and 4 open gobo plus strobe, 8 colours + white with rainbow. The 5S delivers smooth, quiet & precise lighting, it contains an high quality optical lens, dichroic colours & Gobo's with a beam angle of 16 °. 5 channels of DMX, sound to light & master - slave control. 14 Gobo's - 10 metal, 2 glass, 1 effect & 1 replaceable + open, gobo shake & strobe, 11 colours + white with rainbow. The 5W produces a powerful beam which is ideal for atmosphere creating and dramatic moving colour washes, it contains a high quality optical lens & dichroic colours with a beam angle of 26°. 5 channels of DMX, sound to light & master - slave control. independent dimmer & strobe. 11 colours + white with rainbow. Powered by a 250W Halogen lamp. 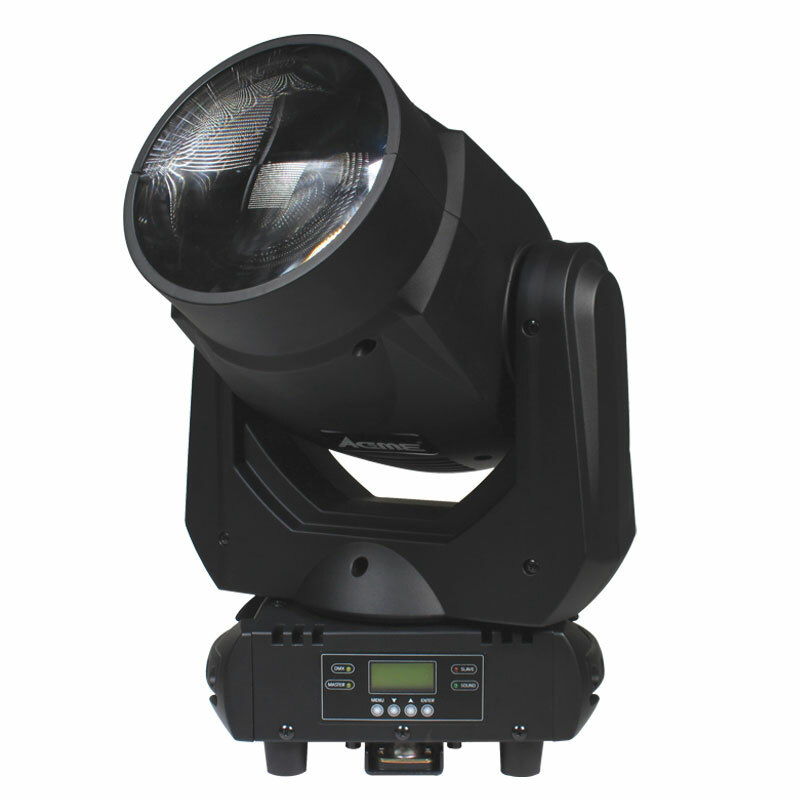 The 7S delivers very smooth, precise & powerful professional lighting, it contains a very efficient & high quality optical lens, dichroic colours & Gobo's with a beam angle of 13 °. 7 channels of DMX, sound to light & master - slave control. 7 rotating replaceable Gobo's - 4 metal, 2 glass, 1 effect + open gobo shake & strobe, 9 colours + white with rainbow. Powered by a 150W HTI Discharge lamp. The 250S is a powerful & professional moving head with a high efficiency optical system, high quality optical lens & many features. A beam angle of 13 °. 14 channels of DMX, sound to light & master - slave control. 7 rotating replaceable Gobo's + open. 9 colours + white with rainbow. The 250W is a powerful & professional moving head with a high efficiency optical system, high quality optical lens & many features. 16 bit pan/tilt resolution, CMY colour mixing, frost filter & beam shape effect. The 575SP is a powerful & professional moving head with a high efficiency optical system, high quality optical lens & many features. A beam angle of 14 °. 16 channels of DMX, sound to light & master - slave control. Gobo wheel 1 with 9 static replaceable Gobo's + open, Gobo wheel 2 with 7 rotating replaceable Gobo's + open. 9 colours + white with rainbow. The 575W is a powerful & professional moving head with a high efficiency optical system, high quality optical lens & many features. Powered by a 575W MSD Discharge lamp.